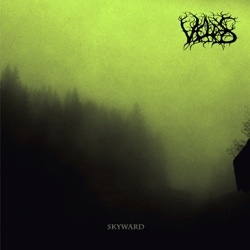 Slovenian atmospheric black metal project Veldes is back with its new work, the 4-track EP “Skyward“. The band was formed in 2012 by Tilen Šimon from Bled, who composes and performs all music and writes the lyrics. In 2013 Veldes released the debut full-length album “To Drown in Bleeding Hope” via the American label Razed Soul Productions. On July 22nd 2014, the new EP was out, again by the same label. Veldes seem to be quite productive and they are still in their beginning. I hope they continue this way, especially if they keep improving! ”Skyward” is a work I recommend to fans of atmospheric black metal, especially to those who prefer the less synth-based efforts of the genre. It is released via Razed Soul Productions in a limited to 500 copies jewel-case CD edition with 4-page booklet including the lyrics. You can visit the band’s official pages below and listen to its beautiful music.